We specialize in gate intercom systems and have the technical capacity and knowhow to install, repair and program them properly. All specialized crews at “Gate Repair Santa Clarita” have extensive knowledge of the peculiarities of these systems and we can also provide you with the best Intercom System for your own property. Whether you are in need of an intercom for your private residence, any public facility or commercial establishment, we have the solution and the best systems manufactured by well-known corporations. Of course, we have the expertise to program Doorking intercom systems, repair Aiphone and Linear ones, and install them properly. Having great experience with such systems we can surely help you find what you are looking for in order to make your life safer and more convenient. A good Intercom System will help you have contact with your visitors both visually and verbally. With just one press button you can allow entrance or even deny access without having to walk all the way to the gate. Our expert technicians can help you choose the best access control method to enter to your own house or company. Having multiple choices among different models and based on your personal needs you can select as many codes necessary for your own building or residence. Rest assured that our technicians are experts in intercom installation and repair and certainly promise fast arrival. We have knowledge of all systems and brands and are trained accordingly. 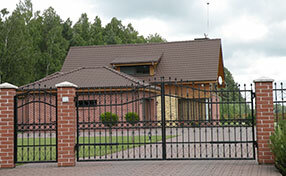 Your new Linear intercom system will be compatible with your gate and you will have easy access and secure perimeter. 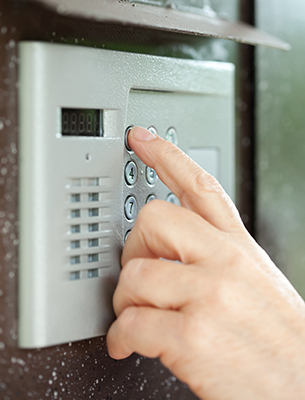 Since we are specialized technicians in all gate systems and gate repair, we can promise to check that your new intercom will be appropriate for your own entrance. 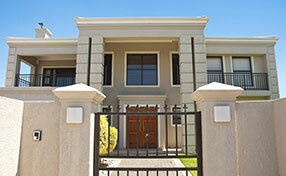 We provide quick services, are very thorough and have absolute knowledge of all intercom gate systems. 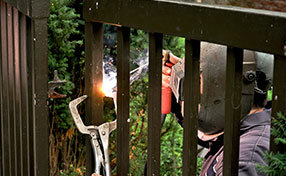 You can trust the best techs at Gate Repair Santa Clarita for all your needs today! Get in touch whether you have specific problems or are interested for a new intercom!